Mr. Hirschfeld is Chairman and Chief Executive Officer of Hirschfeld Properties LLC, President of Hirschfeld Building Construction Company, President and CEO of Hirschfeld Management, Inc., and a principal in all three companies. Prior to 1987, Mr. Hirschfeld was employed by Konover and Associates, Inc., one of the largest privately-held real estate development firms in the United States. Since 1987, he has been a principal in The Hirschfeld Companies LLC and its related companies, where he currently serves as President and Chief Operating Officer. Mr. Hirschfeld has been involved in all aspects of senior level management and operation of The Hirschfeld Companies LLC and its related companies. He has been a principal in Hirschfeld Properties since 1987 and has been engaged in real estate development, acquisition and management for the past 30 years. Mr. Hirschfeld has extensive experience raising capital in both the public and private debt and equity markets. He received a Bachelor of Science degree in Business Administration and Finance from Boston University's School of Management. Mr. Hirschfeld is a member of the National Multi Housing Council and has served on its board of directors . He is a member of the board of directors of Friends of Yemin Orde and a former member of the New York Cabinet of JINSA (The Jewish Institute for National Security Affairs). 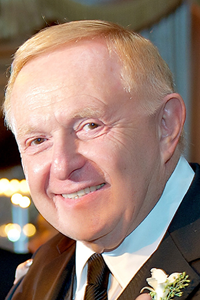 Mr. Hirschfeld is former Connecticut State Government Affairs Committee Co-Chairman for the International Council of Shopping Centers and served on its National Government Affairs Committee. He is a past speaker and advisor to the Associated Builders and Owners of Greater New York and the Boston University Entrepreneurial Forum. Mr. Adelstein is Managing Director and CFO of Hirschfeld Properties LLC and Hirschfeld Management, Inc. Mr. Adelstein has held key roles in accounting, finance and property management at leading national real estate developers / owners / operators, including the NYSE listed company Feldman Mall Properties (FMP, formerly operating as Feldman Equities) and Acadia Realty Trust (AKR, formerly operating as RD Capital). Prior to 1983, Mr. Adelstein was employed as a CPA by Kenneth Leventhal & Co., the largest firm of Certified Public Accountants specializing in real estate in the United States. Mr. Adelstein is involved in all aspects of senior level management and operations of Hirschfeld Properties LLC and its related companies. He has been engaged in real estate development, acquisition and management for the past 35 years. Mr. Adelstein has also taught at the undergraduate and graduate levels, including real estate courses at the New York University School of Real Estate. Mr. Adelstein has extensive experience negotiating and structuring transactions in the private debt and equity markets. He received a Bachelor of Arts degree with a double major in Accounting and in Economics from the City University of New York (Queens College) and a Master of Science degree from New York University. He has also completed doctoral level studies in business management at the New York University Stern School of Business. Robert J. Franco is Senior Vice President - Acquisitions And Capital Markets of Hirschfeld Properties. Mr. Franco is responsible for all aspects of Hirschfeld Properties’ acquisitions program, from identification of target markets and assets, through all phases of the acquisition process, structuring of the capital stack, to asset on-boarding and disposition. He oversees all of the professionals within Hirschfeld’s acquisitions platform. Mr. Franco joined Hirschfeld with an accomplished track record having completed $1.9 billion worth of acquisitions transactions from 2005 thru 2017. He previously held long term senior positions with The Albanese Organization and Rockrose Development Corp. Rob is a graduate of SUNY New Paltz and holds a MBA from Baruch College. He is a Certified Public Accountant and a member of the Real Estate Board of New York. Kimberly Taylor Hirschfeld is Vice President of Marketing and Business Development for Hirschfeld Properties LLC and Hirschfeld Management, Inc. (“HMI”). She oversees all aspects of marketing and design for Hirschfeld Properties LLC, HMI and Hirschfeld Building Construction Company, Inc. and plays a key role in Hirschfeld Properties’ and HMI’s business development efforts. Mrs. Hirschfeld has held key positions at multiple firms in areas including marketing, design and branding. Prior to joining Hirschfeld, she was Global Branding and Marketing Director for MetLife. 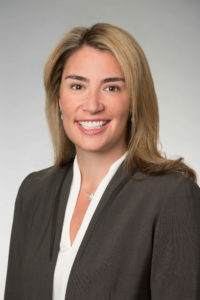 At MetLife she headed a $150 million+ program overseeing the company’s sponsorship and branding globally across multiple platforms, all focused on sports, as well as the company’s blimp program. During her tenure at MetLife, Mrs. Hirschfeld negotiated MetLife’s cornerstone sponsorship at New Meadowlands Stadium (now MetLife Stadium) and managed the relationship and building activation between the insurance company and the NFL home of the Jets and Giants. MetLife’s 12-year deal was the first of four cornerstone sponsorships to support the new $1.7 billion stadium. Anheuser-Busch, Verizon and Pepsi followed in succession after the lead taken by MetLife under Hirschfeld’s direction. Mrs. Hirschfeld is a graduate of Davidson College where she received a full athletic scholarship and was a member of the school’s Division 1 NCAA basketball team and is a member of the Board of Directors of the Davidson Athletic Foundation. She is actively involved in various philanthropic endeavors and is the recipient of Sports Business Journal’s 40 Under 40 award. Ashleigh Keys is Vice President – Multifamily of Hirschfeld Properties LLC and Hirschfeld Management, Inc. Her responsibilities include all aspects of Hirschfeld’s multifamily operations including the development, management and implementation of renovation, capital and operating budgets, marketing plans, staffing, and human resources. Prior to Hirschfeld, Mrs. Keys was Vice President at UIP Property Management Inc., overseeing a portfolio of 25 properties totaling 3200 units. She previously held senior property management positions at Waterton Residential, AIMCO and UDR/Bell Partners overseeing multiple multifamily assets and staff. Mrs. Keys holds the COS, CAM and CAPS certifications. Joseph J. Sugamele Jr. is Chief Technology Officer of Hirschfeld Properties. Mr. Sugamele is responsible for the extensive and robust Information Technology infrastructure of Hirschfeld Properties and its affiliated companies. He devises the IT framework, technology procedures, and practices for the Hirschfeld group of companies. Mr. Sugamele aligns cutting edge IT vision with Hirschfeld’s overall business strategy by integrating company processes with multiple technologies and platforms. He is responsible for all aspects of developing and implementing technology initiatives within the organization and maintains existing enterprise systems, while providing direction in all technology-related issues in support of information operations and core company values and missions. Mr. Sugamele, in concert with his staff, designs and develops all Hirschfeld websites and provides all ongoing support thereto, including ongoing Search Engine Optimization efforts to drive leasing inquiries and traffic to the firm’s operating real estate assets. Mr. Sugamele is the founder and COO of multiple IT related companies and has been profiled in numerous industry publications. 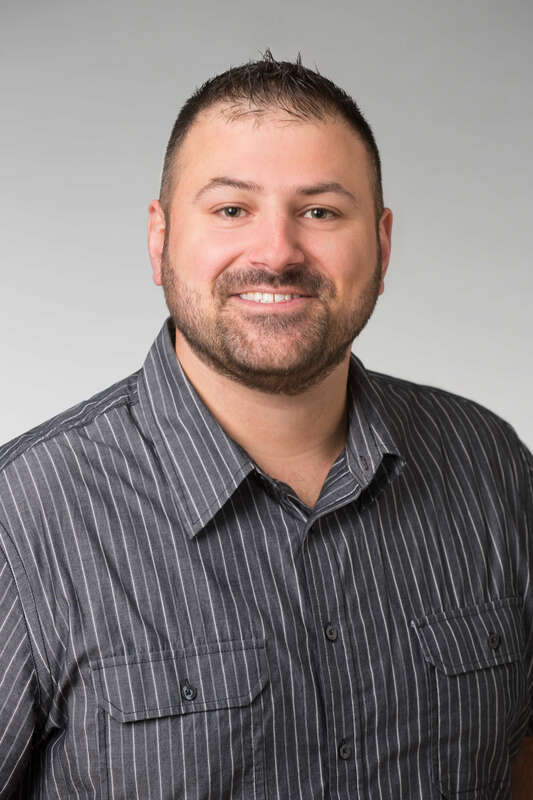 In addition to his extensive IT background and experience, he has over 15 years of experience in multi-family acquisition and operations. Jay Edelstein is Controller of Hirschfeld Properties LLC as well as its affiliated management and construction companies. As Controller, Mr. Edelstein is responsible for the accounting operations of the company, financial reporting production, maintenance of accounting records, and a comprehensive set of controls designed to mitigate risk and enhance the accuracy of the company's reported financial results. He also leads HR management and administration across the various Hirschfeld companies. 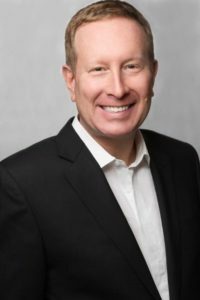 Mr. Edelstein has thirty years of diversified accounting experience, including management positions at Massachusetts Mutual Life Insurance Company, Aetna Financial Services, Konover Properties and Travelers Insurance Company. He holds a BS in Accounting from Central Connecticut State University and a MBA in Finance from the University of Connecticut. T. DONALD HIRSCHFELD is the founder of Hirschfeld Brothers Construction Company and Chairman of its successor company, Hirschfeld Building Construction Company, Inc. He is Chairman Emeritus of Hirschfeld Properties LLC. Mr. Hirschfeld, who attended Stanford University and holds a degree in Industrial Administration and Civil Engineering from the University of Connecticut, has more than forty-five years of experience in real estate development, management and construction. Since the mid-1960s he has been involved in the successful development of over 40 major real estate projects across the United States as principal owner and developer with an aggregate value in excess of $1 Billion. Mr. Hirschfeld is a past president of the Hartford Property Owners Association, and a former advisor and speaker of the Building Owners and Managers Association of America. 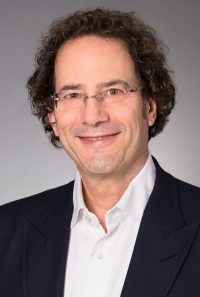 He is a Corporator of the Connecticut Children's Medical Center, a past Trustee of the Ella Bur-McManus Trust, and served on the Board of Directors of the Greater Hartford Hebrew Home and Hospital. He is Vice President of the Holocaust Documentation and Education Center in Dania Beach, Florida.